Flying cameras! The ultimate gadget. What isn’t to love about this? I have been bitten by the Remote Controlled Quadrocopter, drone, UAV, aerial photography and videography bug. I’t actually been a long time now in drone photography time, I started flying in June 2013, and have owned 6 DJI Phantoms of various configurations. Some are better for different things, I discuss each below. I recently taught a pre-conference class at Photoshop World with Russell Brown (Principle Creative Director of Adobe). I blogged all about that here. I’m also teaching 2 workshops at this years NAB show. 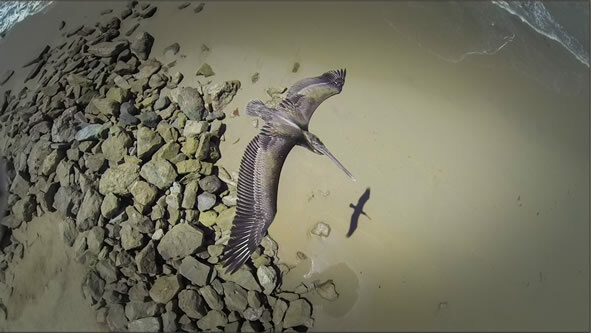 My first aircraft was a DJI Phantom Quad-copter with a GoPro 3 and a Zenmuse Gimbal here is a photo of a pelican that I shot using that rig. It’s a lot of fun to shoot photographs and video from the air. There are a lot of things to take into account to do this, but the biggest is practice. The better you get at flying, the better pictures you will get. Once you examine your first few, you’ll see where you can improve. 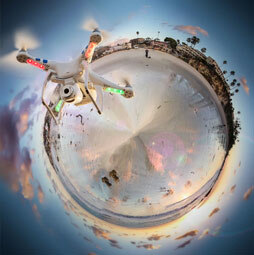 With photos, you can get some great frames or even panoramas by rotating your phantom with a 30-40% overlap. If you are using the GoPro, shoot in timelapse mode to get panoramas. Another option is to use the 4k video for stills. At 12fps it’s too slow for video, but captures great stills for the video frames. Turn the spot meter off on the camera if it has one, we want the scene metered, not individual areas. 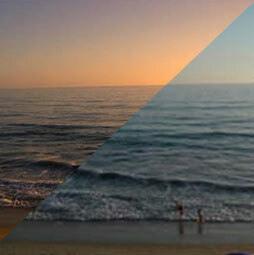 If you are shooting panos with the goPro or vision, make sure you ouse manual white balance, not auto. One question that I get a lot is the quality of the DJI camera compared to the GoPro. For photographs the DJI camera seems to have more dynamic range and doesn’t lose detail in the skies as quickly as the GoPro does. The camera is 14 Megapixel. F2.8 and 140 Degrees and supports DNG raw. The video supports 30fps at 1080p or 60fps at 1080i. So for serious video where you need extra resolution to crop our propellers etc, you will be better off with the GoPro which can record up to 2.7 k and also supports higher frame rates. This is assuming that you have a Gimbal for the goPro. Otherwise the shake and roll makes the video unwatchable. The gimbal on the Vision + camera is as smooth as butter. The big advantage of thePhantom Vision is the inclusion of the wifi and phone app. You can see a realtime preview of what the camera sees. This enables you to frame your shots before shooting. You can also use the tilt on your phone to change the angle of the camera through the single axis gimbal attached to the belly of the vision (Or 3-axis Gimbal on the vision +). This makes this a photographer’s dream. Overall, it’s quite simple to fly a Phantom, but it takes some practice to get good at it. I would expect several months before you could say that you are becoming a skilled pilot. Expect frequent crashes into trees and things when you are starting out. (I lost my first one in the ocean). I am now flying the DJI Vision +. This has the advantage of extended wifi range (good to almost 2000 feet) and extended range of about 3,000 feet. The vision plus also has a new camera which features a 3-axis gimbal. This provides very stable video shooting. The camera is limited to 1080p 30 fps, so if you need higher resolution consider the goPro with the Zenmuse 3 axis gimbal. The H4 3D gimbal has been released for the goPro Hero 4, which can shoot 4k at 30fps. 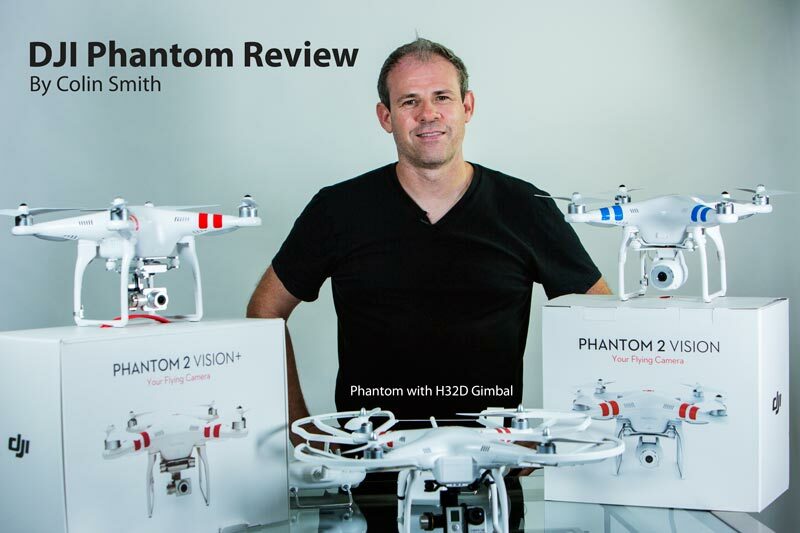 See the review of the Phantom 2 Vision. The quadcopter drone itself is identical to the Vision +, except the vision + has a different camera mounted on a 3-axis gimbal, which solves the shake issue for video. I also fly the Phantom 2 with a zenmuse 3-axis gimbal. I mount a Gopro onto this and I’m able to get very nice video with this. The Zenmuse H3 3D is very smooth. This is currently the best option for video, especially with the goPro Hero 4 and 4k abilities. For FPV, you have to install your own setup. I use an invision 600Mz transmitter. To receive it I’m using the Black Pearl Diversity monitor, which has built in receiver to get the signal from the copter. What about telemetry? 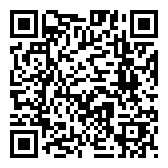 Height, distance, airspeed, battery level, satellite data etc. DJI makes an iOSD mini for less than $100 that bugs right in and sends that info back to you. I’m very happy with this setup for video. The latest firmware update provides a nice safety feature. It shows a progress bar on the battery, broken into 3 segments: Normal Flight, Return to Home and Landing. Normal flight attempts to give a remaining battery time in minutes and shows as green. When you are getting close to the point of no return, you are in orange and the phantom will return to its original take off position in “go home” mode, unless you override this option (not recommended). At critical (red) the copter will begin to descend. land and shot off the engines. At any time you can override and take manual control. Since the review a few updates have happened. The biggest is the ability to shoot images in DNG Raw format. While this takes longer to process, the extra dynamic range makes it worthwhile.The app that comes with the vision works on iOS and Android. It gives a First person view as well as vital stats such as altitude, distance, speed, satellite lock and battery levels. 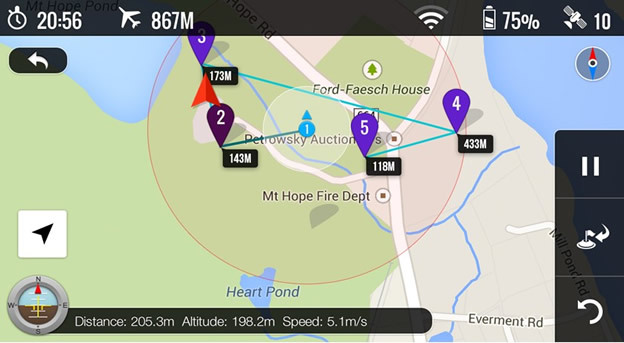 The free app that comes with the Phantom not supports ground station and way points. You can set up and automated flight and stop at points along the way. 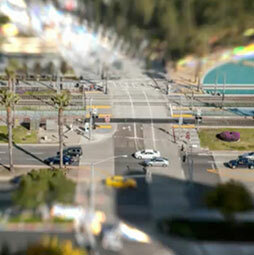 Some panoramas and photos that I have captured with the DJI Phantom and Vision. Here are some video that I released to help you work on the images and video that you shoot from your quadcopter. (Keep your eyes peeled for my DVD on flying and shooting with Phantoms, coming soon). Don’t treat it as a toy, always think SAFETY FIRST. Use common sense. Here are some suggestions for safety. Read the instructions and be well aware of the features and operating procedures of your aircraft before flying. 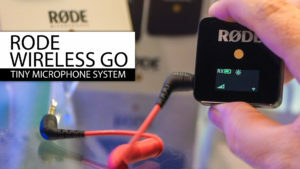 This includes the “come home” feature and how to regain control with the transmitter. Never put your fingers anywhere near the props when there is a battery connected, treat it like a loaded gun. First remove the battery before touching the propellers. Don’t fly around people, especially children. You get a lot of attention when you fly these, and kids love to chase them. If that happens, make sure you lift the phantom to an altitude where it’s well out of reach of children. Always make sure that the propellers are tight and secure before inserting the battery. Don’t attempt to fly when it’s too windy. Get comfortable with the controls before trying anything too fancy or flying over water. Respect the privacy of others and don’t buzz peoples homes. There have been cases where people have shot down drones and they are in the process of passing laws in Colorado which make it legal for people to shoot down drones that are over their property. Don’t fly in close proximity of an airport. Always have a visual on your aerial vehicle at all times. Note: Using LiPo (Lithium Polymer) batteries isn’t to be taken lightly. These batteries can explode and cause fires if not properly cared for. Avoid over charging, or undercharging them. Never puncture them and always supervise charging. I will be adding more content and tutorials soon! Stay tuned. This is the most fun thing I’ve done in a long time (OK, I need to get out more). Using a flying camera, gives you an entire new view on the world and the ability to shoot from angles that were impossible in the past. If you have the extra money, it’s well worth it! The improvements of the Vision over the original phantom are huge. One thing to watch out for, if your are shooting video, the Vision + has a 3 axis Gimbal, which gives smoother video as well as keeping it level. 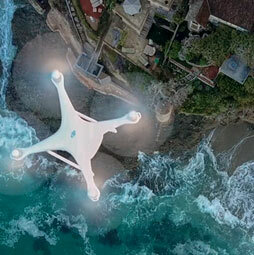 Learn How to Fly and shoot Photos and video with the DJI Phantom Quadcopters. DJI Phantom Quadcopter Drones, Aerial Photography and Video Handbook. Check out the brand new resource that we have created at photoshopCAFE to take your photos to new heights! 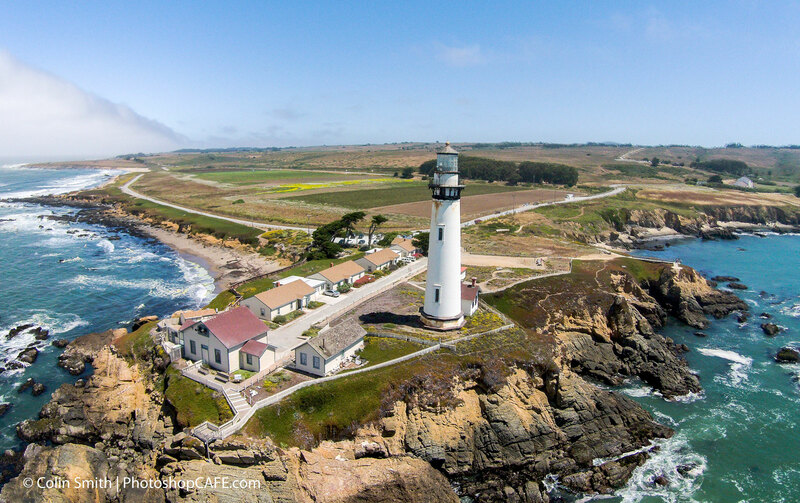 Photography and videography have been revolutionized by the use of UAV Drones. 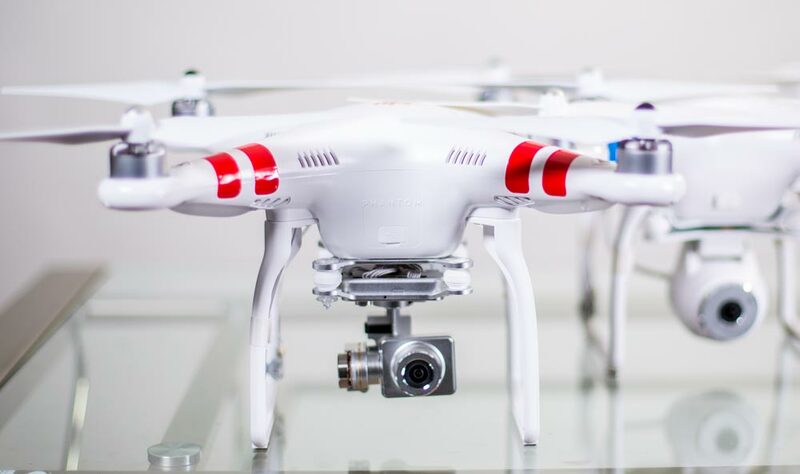 The DJI Phantom Series is by far the most popular civilian drone and is revolutionizing an exciting new industry. These little quadcopters are affordable and easy to fly. 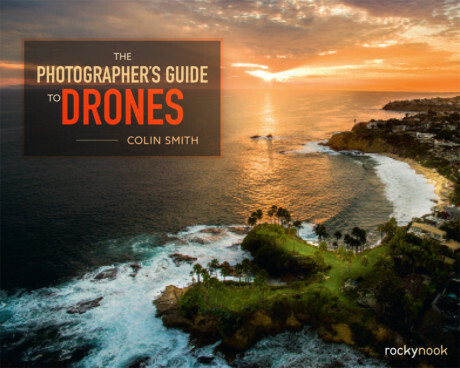 In this fully comprehensive guide, Colin Smith coaches you through everything you need to know to fly precisely and safely. 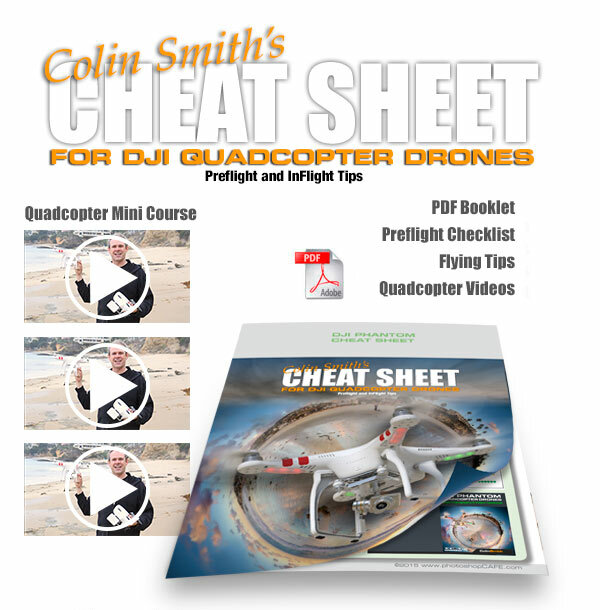 Learn Quadcopter basics and exercises designed to help you become a better pilot. In studio and on-location lessons will get you there in a clear and easy to understand way with stunning HD video. Learn how to fly correctly and shoot the best video and photographs. 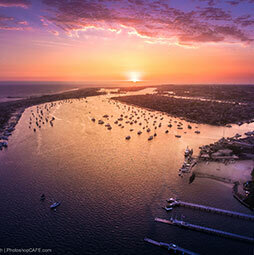 Learn how to edit photos, panoramas, HDR and video for the best results. Learn to work in Photoshop, Premiere Pro and GoPro studio, even if you have never edited video before. This fast loading DVD ROM contains over 9 hours of crisp video! The easy to use, newly updated interface allows you to instantly jump to any of the lessons with complete control over the playback.